Japan and the European Union are leading the way in a 40-nation effort to build safer cars by requiring automated braking systems, according to a February 12 announcement by the United Nations Economic Commission for Europe (UNECE). The only countries that have not signed on to this agreement are the U.S., China and India. Although they are members of the UNECE group, the U.S., China and India wanted to assure that their own national regulations took precedence over U.N. rules. The UNECE initiative requires that all new cars and light commercial vehicles be equipped with automated braking systems, starting as soon as next year. The technology behind the new braking systems includes sensors that monitor the closeness of nearby pedestrians or objects. Braking is triggered automatically when a collision is impending and the driver isn't able to respond in time. 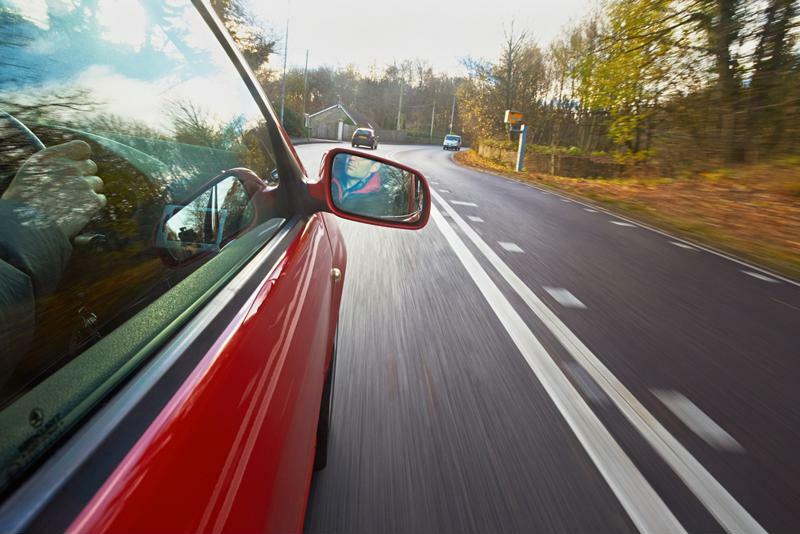 UNECE's system applies only to vehicles traveling at low speeds of 42 mph (60 km per hour) or less, and does not include cars and trucks already on the road, so retrofitting of older vehicles will not be necessary. Japan will be the first country to adopt the new regulations, beginning in 2020. There, it is estimated that 4 million cars and light commercial vehicles were sold in 2018, so this represents a massive undertaking for the Japanese auto industry. The European Union and some adjacent countries are expected to be next in line, starting their automated braking introduction in 2022. Automatic braking systems will be required in 40 nations starting in 2020. The U.S., meanwhile, is proceeding with its own plans for adding automated braking. According to data supplied by the insurance industry's Highway Loss Data Institute, 28 percent of the 2019 U.S. models provide automatic emergency braking as a standard feature. Another 36 percent offer it as an option. The U.S. auto industry decided on its own course back in 2016, when an agreement was reached between the U.S. government and 20 domestic and international automakers to require automatic emergency braking by 2022. Under that agreement, compliance would be voluntary. A 2017 report from the National Highway Traffic Safety Administration said that four of the 20 automakers – Tesla, Mercedes-Benz, Toyota and Volvo – have now made automatic braking standard on over half their models. U.S. Department of Transportation Secretary Elaine Chao said "The growing number of vehicles offering automated emergency braking is good news for America's motorists and passengers. With each model year, manufacturers will increasingly utilize technology to allow vehicles to 'see' the world around them and navigate it more safely." UNECE said that the countries participating in its automatic braking initiative wanted to be more proactive in preventing roadway accidents, especially in urban areas where there are usually more pedestrians, bicycles, scooters, cars and other obstacles making driving more challenging. Over 9,500 roadway deaths occurred in the EU in 2016 alone; the EU Commission, based on those numbers, estimates that the new automatic braking systems could save over 1,000 lives a year. In comparison, in the U.S., the Insurance Institute for Highway Safety (IIHS) says that the American version of the automatic braking initiative will prevent 28,000 crashes and 12,000 injuries by the year 2025. While the automatic braking innovations are widely hailed as a positive step forward, there are also cautionary voices warning of the encroachment of Artificial Intelligence in the driving process. To address this concern, UNECE included in its agreement clear language that maintains the priority of human oversight over AI actions, stipulating that a driver may take control and override the automatic braking system at any time, either through steering or an "accelerator kick-down." UNECE also emphasized that its new agreement builds on already existing U.N. rules regarding braking systems for trucks and buses, primarily for safety in higher-speed driving conditions. With initiatives like the new UNECE pact, or the previous U.S. agreement in 2016 with 20 automakers, it's a given that many vehicle manufacturers will be accelerating their efforts to complete the rollout of automated braking systems by the stated deadlines, so that systems can be fully vetted and tested. If your organization wants to assure that its brakes and related components meet the exacting new automatic braking standards, request a complimentary brake testing consultation from Greening.